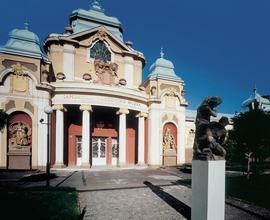 The Lapidarium of the National Museum exhibition called “The monuments of stone carving in Bohemia from the 11th to 19th Century” informs visitors about the methods of mining, with the utilisation and processing of rocks used for stone carving, and about the care of damaged stone artefacts in the introductory display cases. 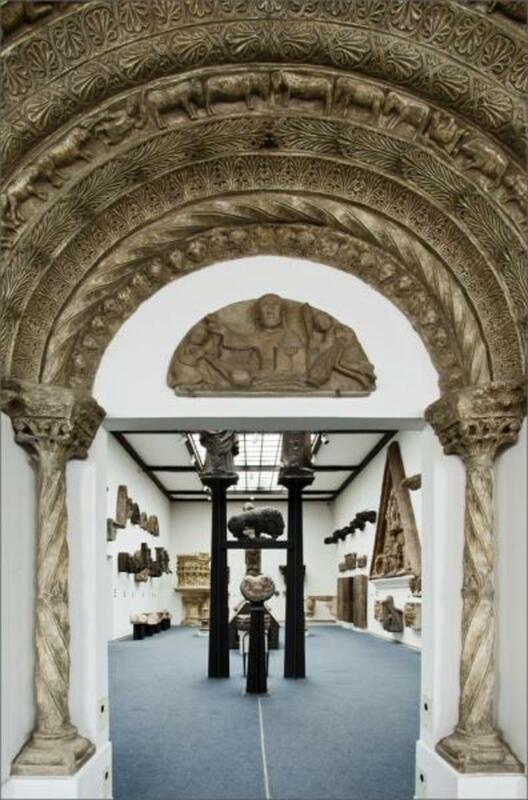 In the adjacent halls, the exhibition presents in chronological order, from the end of the 11th to the end of the 19th century, monuments created by the hands of both ordinary and excellent stone cutters and of both average and the best sculptors. We will find here architectonic articles, both simple and also heavily decorated, such as columns, windows, portals, apex stones, arch stones, spouts, wallflowers, consoles, baldachins, and further carved and relief tombstones, water reservoirs and fountains, memorial plaques, reliefs, garden vases and sculptures, groups of statues, memorials, etc. There are many works among the exhibits which are among the top quality artistic manifestations in the history of Czech visual arts. Let’s name at least the most famous: the frontispiece from Oldříš, the oldest monumental relief in the Czech lands , the beautiful and historically precious children’s tombstone of Premyslid Guta II., the so-called Kouřim Ivas, the oldest preserved architectural sculpture in the Czech territory, the collection of carved tombstones from Ostrov u Davle, superb sculptures from the iron-mill of Petr Parléř which originally decorated the Old Town Bridge Tower, the torso of popular Bruncvík from Charles Bridge, parts of the Renaissance Krocín’s fountain from the Old Town Square, remains of the oldest Marian Column in Bohemia created by Jan Jiří Bendl in 1650 for the Old Town Square, the equestrian monument of St. Wenceslas by the same sculptor, intended for the Prague Horse market, today’s Wenceslas Square, several groups of statues that originally decorated Charles Bridge, created by Ottavius Most, Jan Brokof, Matěj Václav Jäckel, Ferdinand Maxmilian Brokof and Matyáš Bernard Braun. Other extraordinary works include the gilded statue of the Virgin Mary from the plague pillar of the Hradčany Square by F. M. Brokof, Brüderle’s figural fountain from Loreta, classicist sculptures by Ignác František Platzer from the Prague palace of the Goltz-Kinský family, the Empire fountain from the Coal Market in Prague by František Xever Lederer, the so-called Ostler by Josef Malínský, and figural tombstones by Václav Prachner. 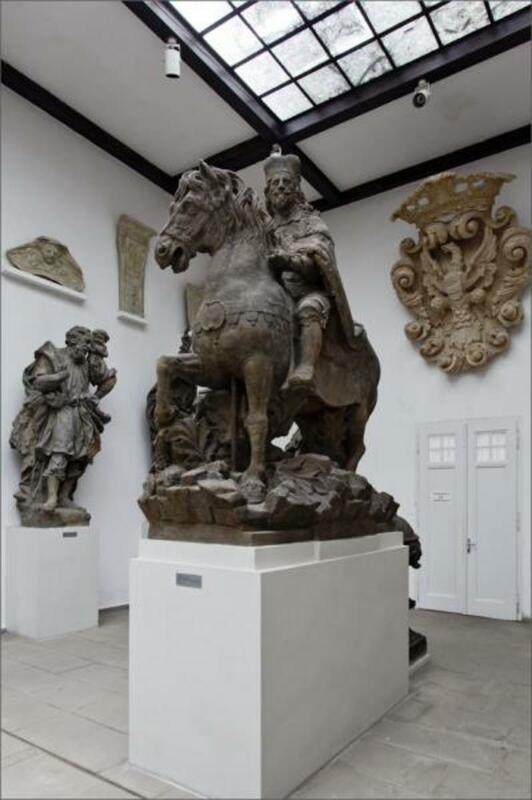 Also two of the oldest Prague bronze monuments are remarkable, by the Max brothers, commemorating Emperor František I and Marshal Radecký. 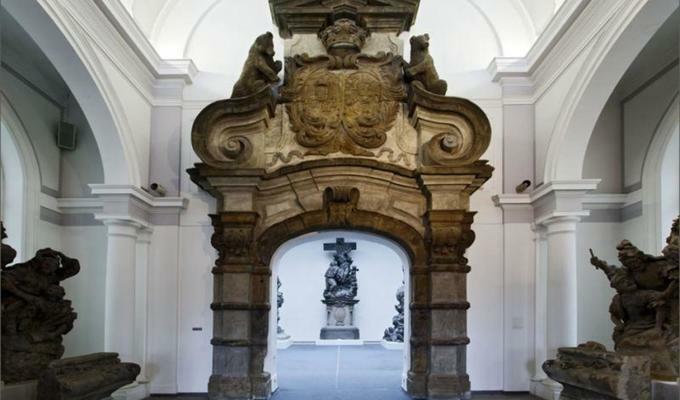 The monuments collected in the Lapidarium of the National Museum mostly come from buildings demolished during the huge sanitation wave which hit Prague at the turn of the 19th and 20th Century. Many exhibits are from repaired churches, some were removed from their original sites because they had lost their original function (fountains, memorials), many were damaged by natural disasters or simply grew old and were replaced by copies. Significant units were acquired by the archaeological research conducted by the Museum (Ostrov u Davle, Vyšehrad), some exhibits also come from accidental findings in the terrain. 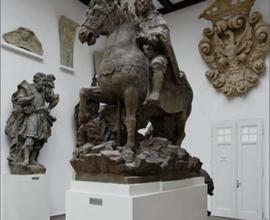 At the present time, with stone monuments decaying faster due to climate change, especially endangered originals are moved to the Lapidarium to be replaced by copies in their place. 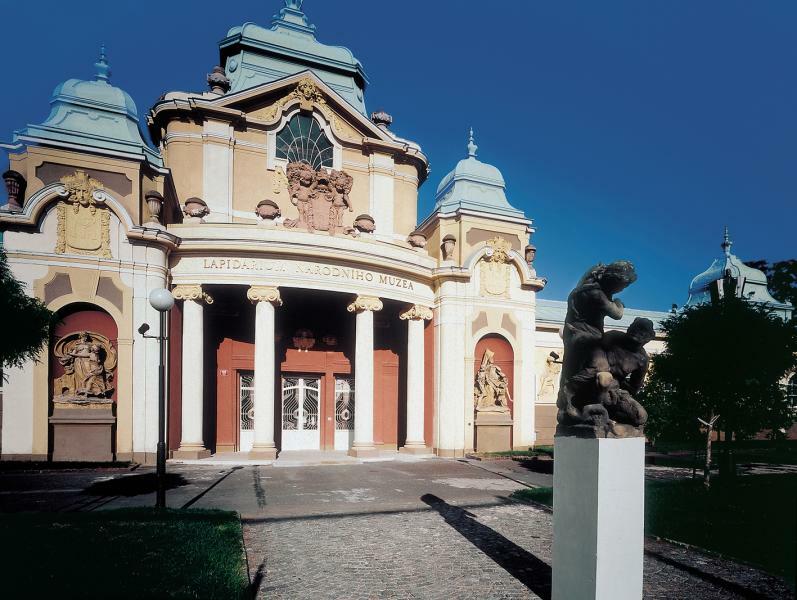 The Lapidarium was ranked among the 10 most beautiful museum exhibitions in Europe in the international competition of 1997. 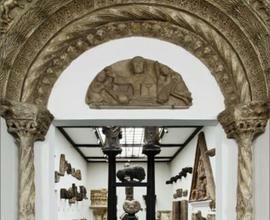 Open from 1 May to 30 November.